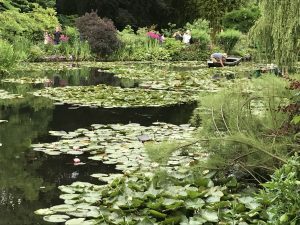 Monsieur Monet, How Does Your Art Garden Grow? 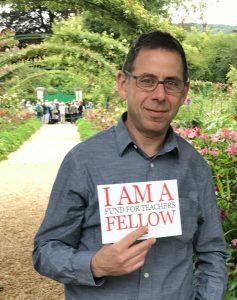 This is the question that inspired Jeff Wolfson’s 2017 fellowship to Monet’s most famous painting spot – Giverny, France. 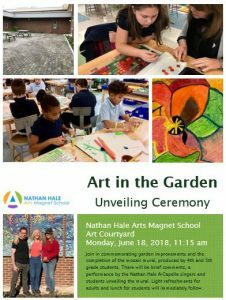 His goal was to develop with students and community partners a similar artist’s garden as a place for reflection and inspiration at Nathan Hale Arts Magnet School in New London, CT.
After experiencing Monet’s garden and the Museum of Impressionisms outside Paris, Jeff had the basis for an art courtyard design using details from the impressionist art movement. 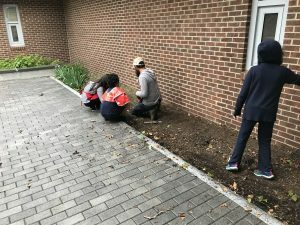 He began the school year by meeting with local garden designers, college arboretum staff and the district’s School Garden and Nutrition Coordinator to develop a planting and instructional plan. 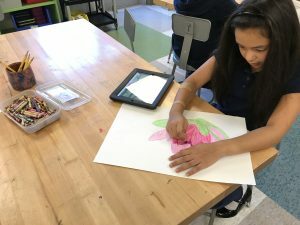 Then he introduced his new “Art in the Garden” course to fourth and fifth graders. 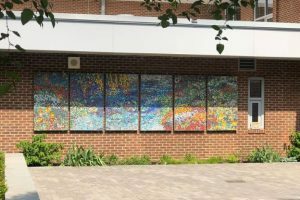 Yesterday, the school community officially unveiled the finished product, 356 days after Jeff departed for France on his fellowship. 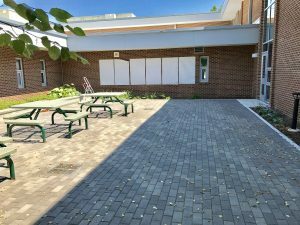 Congratulations to all of the students, teachers and parents who created this very special outdoor classroom and relaxation space to be enjoyed for decades to come.